Founded in 2008, the Millerbots are the FIRST robotics team of Washburn Senior High in Minneapolis, Minnesota. FIRST (For Inspiration and Recognition in Science and Technology) is an international organization which hosts annual competitions to inspire students to pursue science and engineering careers. 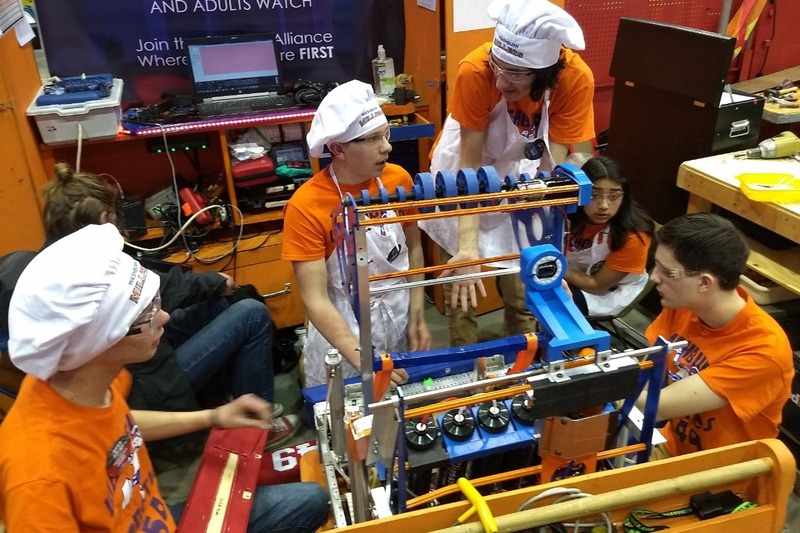 Within Robotics, we stand by our slogan: “Where students design, build, and program and parents watch.” Our mentors and coaches, while remarkably helpful, are very hands-off and willing to teach valuable skills instead of merely demonstrating them. Students lead and execute 100% of the operations, taking roles that often are filled by teachers and parents. As a result, we learn to collaborate as one, to pass on our knowledge to younger members, and grow into great leaders. We frequently showcase our robots at schools, bookstores, and annual state events. Our intention is to spread awareness of FIRST Robotics and STEM to our community, showing today's youth how important and fun robotics and engineering is. The Millerbots don’t just build a robot. 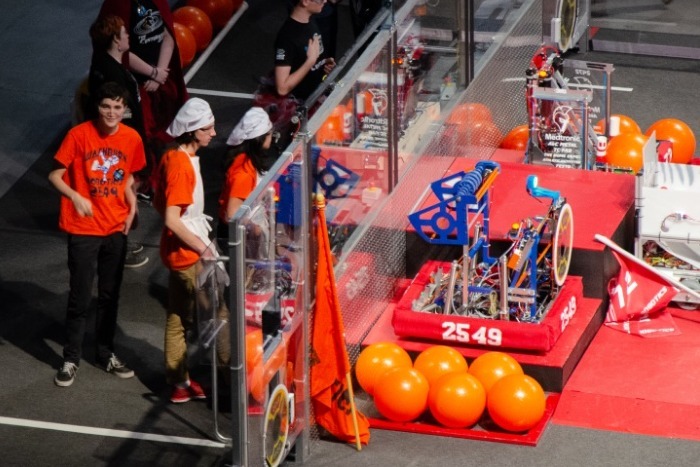 We strive to set students up for success, constantly improve the operations of our team, promote the awareness of FIRST Robotics throughout our community, and ultimately learn and grow together as a family. 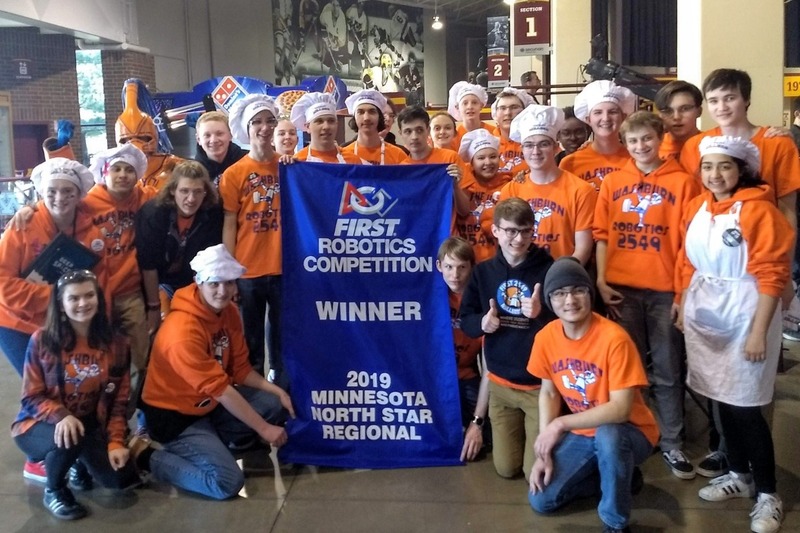 This season the Millerbots attended two Regional competitions, one in Grand Forks, North Dakota and the other here in Minneapolis, Minnesota. 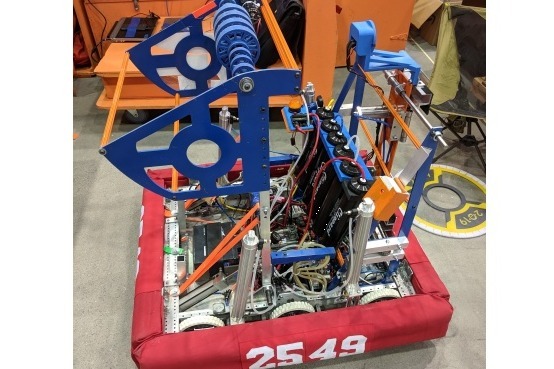 At each Regional we competed against 50 or 60 other robotics teams from around the state and around the world - we competed against teams from China, Turkey, and Canada as well as dozens of teams from around the country. We placed sixth after the qualifying matches at both events (consistency was something of a theme for us this season) and were a part of an alliance in the elimination rounds at both events. We were eliminated in the quarterfinals after going 1-2 against the fourth seeded alliance. We had a much better go in the final rounds in Minneapolis. We were joined on the second seeded alliance by the team from Edina, Minnesota, and the team from Minnetonka, Minnesota, which made our alliance entirely from the Twin Cities area. Together we won the entire event, going undefeated in the final round! We also won the Industrial Design Award, which celebrated our unique robot design this year. Because of our win at the North Star Regional, we qualified for the World Championship in Detroit in just a few weeks from April 24-27! The FIRST Championship, held in Houston and Detroit, is a gathering of the best and most devoted teams worldwide that participate in FIRST programs. Each location will host tens of thousands of students and thousands of mentors and volunteers. It is a great chance for us to meet many other high schoolers who are engaged in robotics and engineering. The competition itself is similar in form to the Regional Competitions that we attended in Minneapolis and in Grand Forks. We will have time to fix and prepare our robot on Wednesday followed by qualification matches on Thursday and Friday. The finals will be on Saturday along with various other events focused on celebrating engineering and the accomplishments of students throughout this past year. We will also attend seminars that will help us learn more about robotics, engineering, STEM careers, and college opportunities. Qualifying for the world championships has been an absolute privilege that initially seemed unattainable. As a community and family, we want to share this one-of-a-kind experience with every member on our team. However, with the expenses of registration, housing, transportation, and food, bringing all 30 of our members has turned out to be quite expensive. Since our win at the Minneapolis regional, students have been working diligently to raise a sufficient amount of money. Our fundraising team has been working practically nonstop on finding us sponsors but given how soon the Championship is we need your help as well. Another way to support us with a donation is via our website, washburnmillerbots.org, using the "Donate" button. This will avoid fees from GoFundMe. We appreciate your support and good wishes as we head to the FIRST World Championships this month. Thank you!